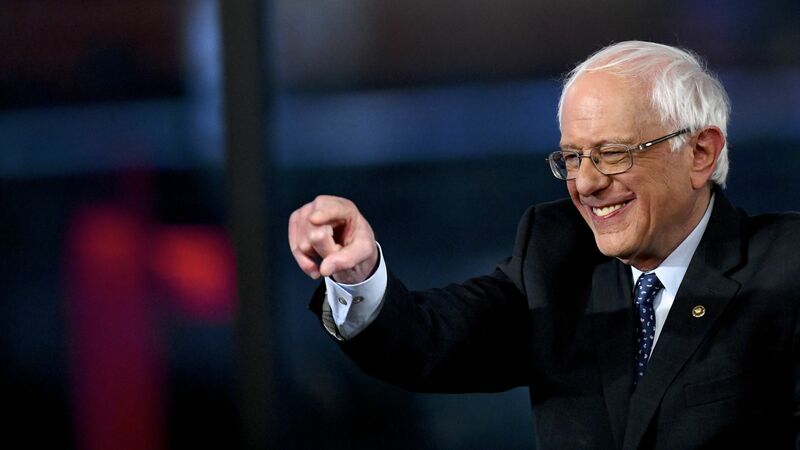 Sen. Bernie Sanders (I-Vt.) is the runaway preferred 2020 Democratic presidential candidate for progressive activists, a Democracy for America survey published early Tuesday shows. Details: In the online survey of 96,641 DFA members, Sanders achieved 42.3% support — 30 points ahead of his closest rival, Sen. Elizabeth Warren (D-Mass.) (10.52%). By the numbers: In the first DFA poll in December, Sanders led at 36.2%, with former Vice President Joe Biden second with 15%. Biden's support has now slumped to 8%, while South Bend, Indiana, Mayor Pete Buttigieg's soared from nowhere to 3rd spot, with 9.7% support. Congress should take steps toward the impeachment of President Trump following the release of the redacted Mueller report, Democratic presidential hopeful Sen. Kamala Harris (D-Calif.) told a CNN town hall in New Hampshire Monday. "I think we have very good reason that there is an investigation that has been conducted that has produced evidence that tells us that this president and his administration have engaged in obstruction of justice. I believe Congress should take the steps toward impeachment." The big picture: At the town hall, Harris discussed her stance on a range of issues, including gun control. She told the audience she would sign an executive order directing government agencies to write new rules if Congress doesn't "get their act together" and pass a bill on guns in the first 100 days of a Harris administration. The backdrop: Harris' comments on impeaching Trump came 3 days after 2020 presidential candidate Sen. Elizabeth Warren (D-Mass.) called for his impeachment.